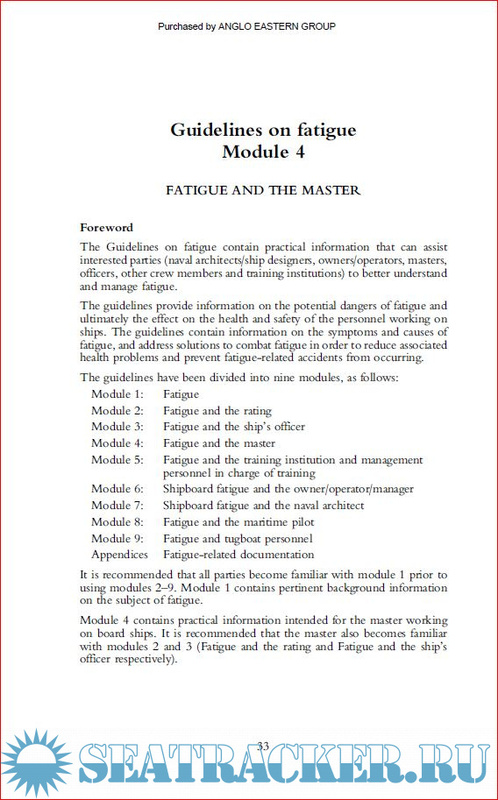 Description: This publication provides guidance on better understanding and managing the issue of fatigue. 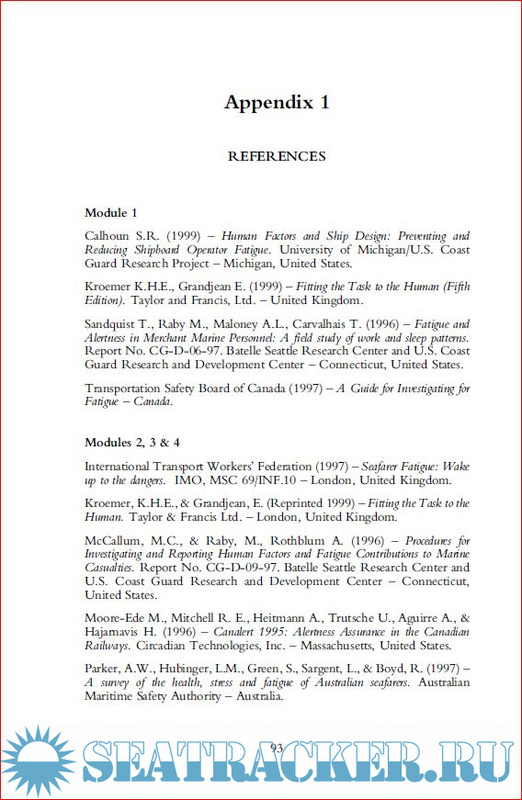 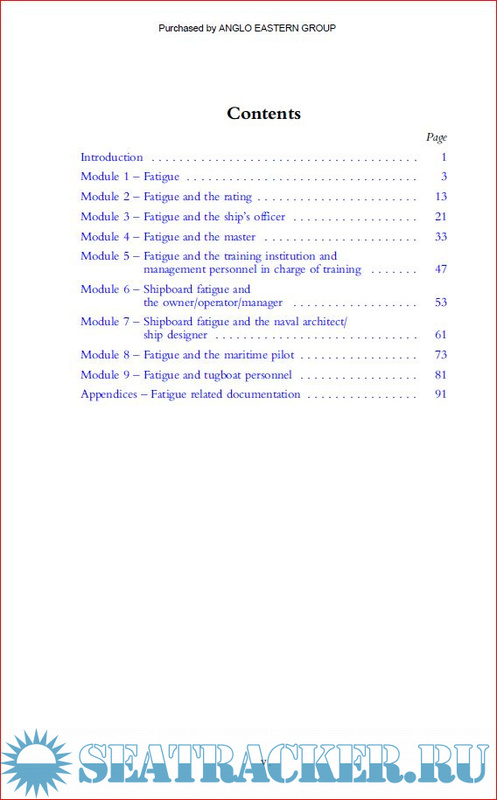 This guidance outlines the potential dangers associated with fatigue and the effect on the health and safety of the personnel working on ships. 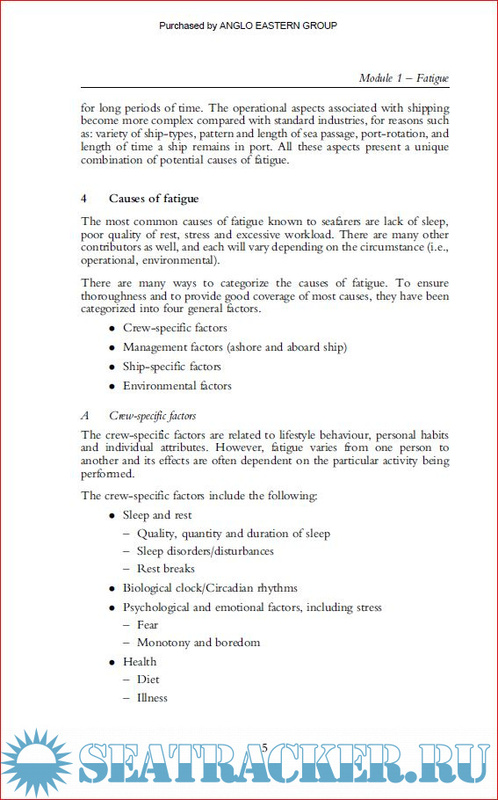 These guidelines contain information on the symptoms and causes of fatigue, and addresses solutions to combat fatigue to improve the associated health problems and help prevent a fatigue-related accident from occurring.